Hyderabad-based Sandhya Singh was a Radio Jockey with Radio Charminar. 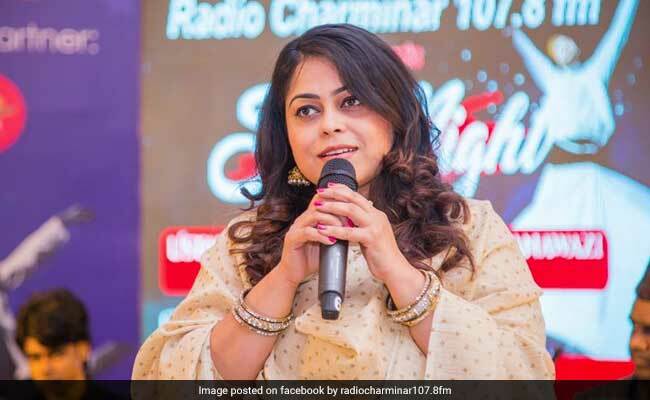 A Radio Jockey in Hyderabad who was married to an army major killed herself because he harassed her for dowry, according to the police. Sandhya Singh was found hanging last week at the accommodation provided by the army to her husband, Major Vaibhav Vishal. A case of suicide was registered at first, but Ms Singh's family then alleged that he had been demanding dowry after which he has been named in the police case. The officer is in the Intensive Care Unit of an army hospital, said a senior police officer handling the case. Major Vishal, who reportedly discovered his wife hanging from a ceiling fan, complained of feeling unwell the same night and was then admitted to hospital. "The army assured us that he will be handed over to us as soon as he will be fine medically," said B Sumathi. The couple, both from Uttar Pradesh, fell in love and married less than two years ago.